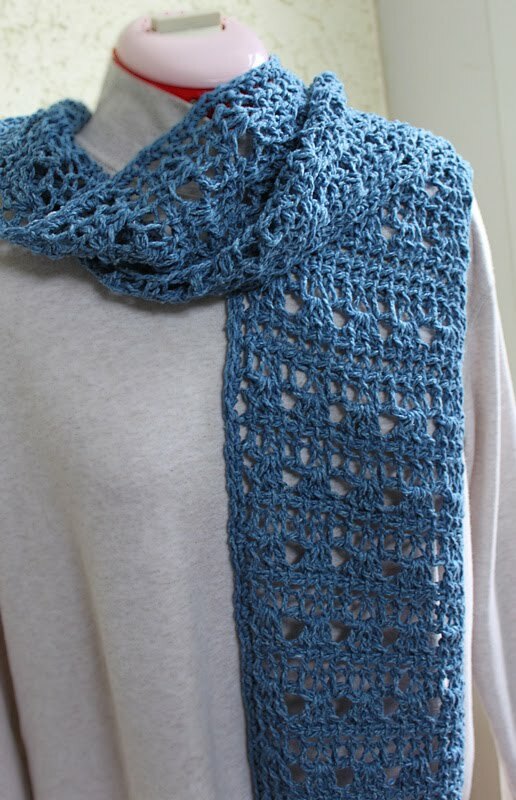 Just added the free pattern for my Starlight Tunisian Scarf to Ravelry (click the link in the right sidebar). Not a member of Ravelry? You can also download the pattern by clicking this link - download now. This is a slightly more advanced Tunisian pattern that uses Tunisian shell and twisted stitches; although the pattern walks you through each step, it helps if you already know Tunisian basics - how to start; how to work the forward and return pass. 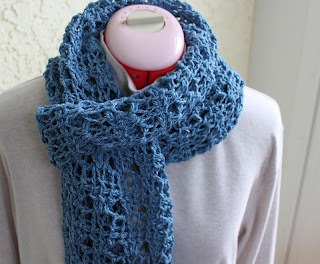 The yarn I used was Aran-weight (Nashua Isabella) but this scarf would look great in any weight yarn. 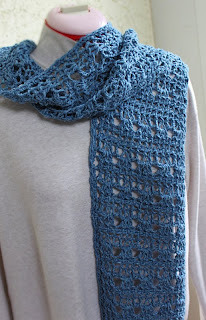 Or add more stitches to the width and make an open, lacy wrap. I love the softness and drape of this design. Hope you enjoy it too! That is lovely. I am going to save it to my Ravelry. Thank you!